Endless Sunsets and Harbor Views can be yours with this stunning 3 bedroom, 3 bath luxury condo in Central Destin. A harbor front community, Grand Harbor is on the north shore of Destin Harbor. Watch the boats at night or the fireworks over the Destin Harbor from it's over sized balcony with a built-in gas grill. The Unit features 9.5'ceilings, private exterior storage closet and an open floor plan. The walk-thru spacious kitchen parallels the living room and offers a large breakfast bar, gas cooking, large pantry and stainless appliances. Residents enjoy a spacious living room and adjoining formal dining room with floor to ceiling windows. The living room features a gas fireplace with spectacular mantel. The master suite is spacious and features 2 custom designed walk-in closets,is harbor front and has private balcony access. The master suite bath offers dual vanity, garden tub and walk-in shower. This unit has 2 guest suites, each with full baths. The west side guest suite is also harbor front includes a full bath. This property is one of Destin's most desirable locations and is in central Destin with proximity to everything. Amenities include harbor side heated pool with hot tub, Gazebo, fitness center, Marina with boat docks, parking garage, TESLA car charging stations, conference room and private guest suite for overflow guests to enjoy. 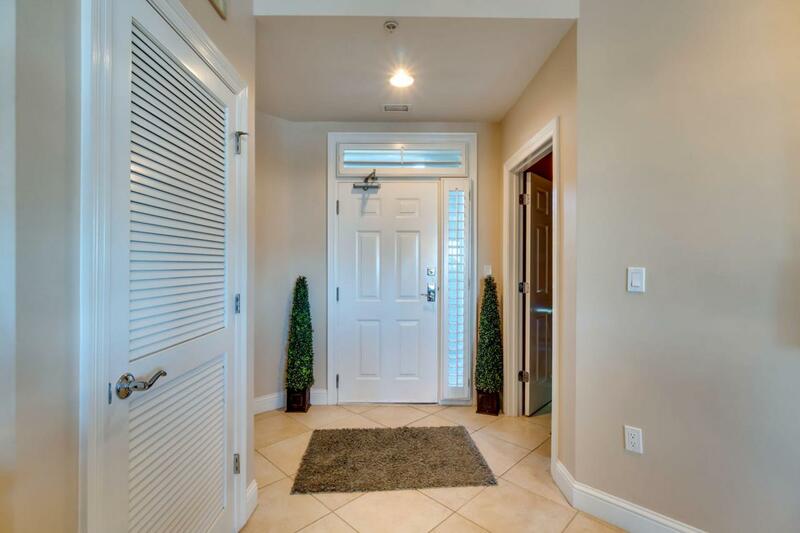 Grand Harbor is a secure, gated community and Pet Friendly with it's own Dog Park. Call today to see this unit.